[March 27, 2012] Among the news earlier in March (March 8 to be exact) was the announcement from OKI Data Americas (OKI) that the company was introducing a “user-installable wireless option” for OKI’s line of B700 series of monochrome printers, available March 15 for the list price of $311. At first, the news seemed fairly routine, with built-in wireless usually available on many competitive printers in the B700’s class. 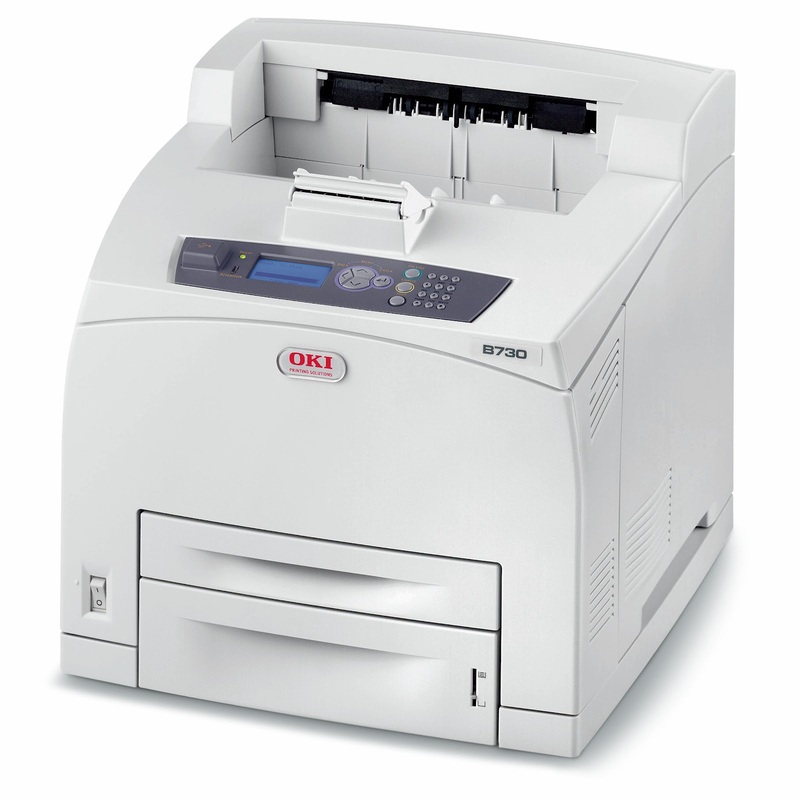 OKI offering an upgrade to its range of 42-52 ppm printers made sense, even if the oddly-priced $311 upgrade represented a seemingly big chunk of the printers’ $625 to $1,249 base list prices. Despite the OKI release giving nods to observations of the day, such as director of marketing Carl Taylor’s quotes about “mobile devices and wireless connectivity becoming increasingly commonplace” and the new upgrade “allowing users to print anytime and virtually any place, thereby helping to improve productivity,” I wondered if there was more to the story. I have come to respect the OKI marketing group as very customer-savvy, and I was eager to get beyond the release language into the next level of understanding. But before that conversation could take place, I let my mind and curiosity wander a little more. In thinking through the announcement and doing a little competitive research, my reflection on the whole business of wireless-enabled printers took my mind into some rather dusty corners. For example, I blogged on this subject four-and-a-half years ago (see “Wi-Fi Printing—Look Ma No Cables” and my November 2007 Observations column in The Hard Copy Observer) about my hands-on experience with a Lexmark Wireless All-in-One, a Wi-Fi-equipped ink jet machine. I noted at the time that the company’s strong commitment to wireless printing was reflected by including the capability prominently in the official name of the product. In addition to reporting on the progress I had in using that machine, I also went back to the mid-1990s, when I had a personal hand in developing and launching an Infrared-equipped “wireless” LaserJet and that mixed bag of tremendous visionary implementation and poor commercial acceptance (though the printer itself was a huge success, the number of users printing via Infrared was miniscule). But things have changed, steadily and dramatically. In the intervening years, industry leader HP bragged about how many of its printers were Wi-Fi-equipped (seeming to catch up and pass Lexmark), but now HP has changed to boasting about the millions of ePrint printers the firm has shipped (even if most of those printers remain Wi-Fi-ready). And the whole mobile work/life craze continues unfettered, with Apple’s latest iPad model announced earlier this month, with shipment numbers quickly racing past comparable PC shipment levels. And of course, smartphones continue their march towards pervasiveness. Going back to that earlier column, wireless upgrade kits were also available in that timeframe, from a number of network-savvy companies. But what has really changed? The whole idea of “unplugging” the printer really does not seem so important as long as the machine is tethered to a power cord—the device would seem to generally remain as the “base station” with mobile users (defined as mobile users by their wireless laptops or increasingly, tablets and smartphones), whether nearby or far-flung. So OKI had some explaining to do, and I was sure they would. I had a recent conversation with Keith Fenton, Product Planning Manager, MFP Software and Solutions, and Roman Orzol, Product Planning Manager, Mono and Mono MFP, and they provided strong customer rationalization along with an update on the evolution of Wi-Fi. While admittedly not new to the printing industry, these updates show the progress being made in the wireless printing world, especially to my previous 1995 example and its third-party drivers and three-foot distance limitations. In conclusion, I have to chuckle at the confluence of OKI’s thinking, especially on the benefits of Wi-Fi printing, the “conspicuous by its absence” nature of Wi-Fi in consumer printers today, and some of my thinking from the past, as I read through the final words of that November 2007 column about my hands-on experiences with that Wi-Fi-equipped Lexmark machine. I quote the final paragraph of that column here, with some relief that I am certain at least some of the humor was intentional. I wrote a blog post, pending final confirmation of yesterday's HP reorganization combining the PC and Printer groups. That is posted at both the Lyra Insider blog, as well as the Photizo Group's blog. While the companies involved in reorgs think it is a big deal, to the exclusion of most others, the research and analyst community gets pulled in as well. My biggest takeaway (if you read my post you will see) is the departure of legendary executive Vyomesh (VJ) Joshi. We in the industry will miss him. But in further reflecting, I realize I will also miss simply "IPG" - in a world of shifting organizations and the acronyms that we use to label them, IPG has had quite a long run!